support to conduct this event smoothly and successfully. 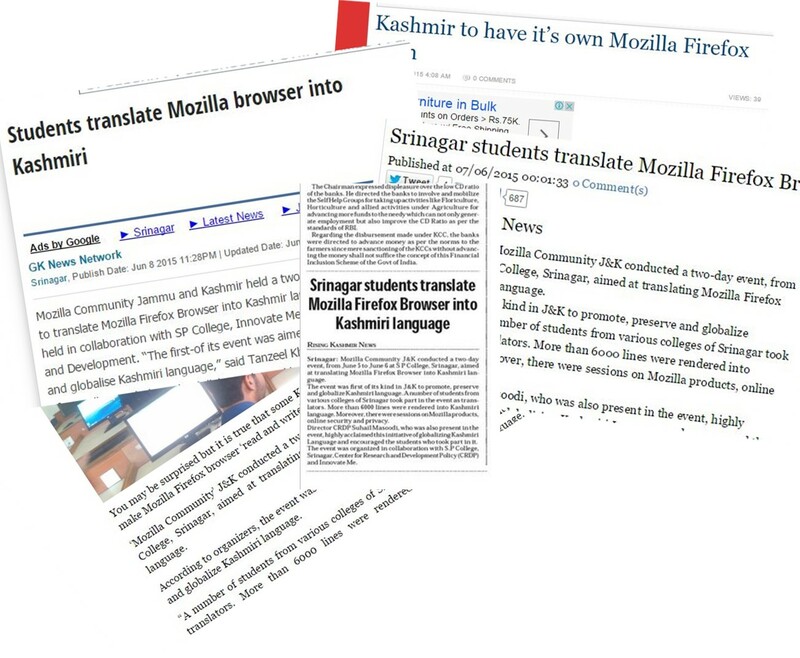 Many students who were computer-literate with command over both English and Kashmiri Languages took part in the event and contributed to this project. The translators from Pakistan, Sri Lanka and France also joined the event remotely. Some of the translators contributed to Urdu Localization. Demonstrations were given to them in order to teach them about how to tr anslate each string and avoid errors. Besides, there were sessions on Mozilla, its products, projects and programs such as Firefox Student ambassadors program, net neutrality, open source, privacy and security. Many a presentation were given by different programmers, developers and designers. The event was highly acclaimed by internet enthusiasts and netizens. People who were present in the event showed very keen interest in mozilla and looked forward to more such events. The report of this event was published by different local newspapers, magazines and monthlies. The event started after the registration of all participants. All the participants gave a brief intro about themselves. 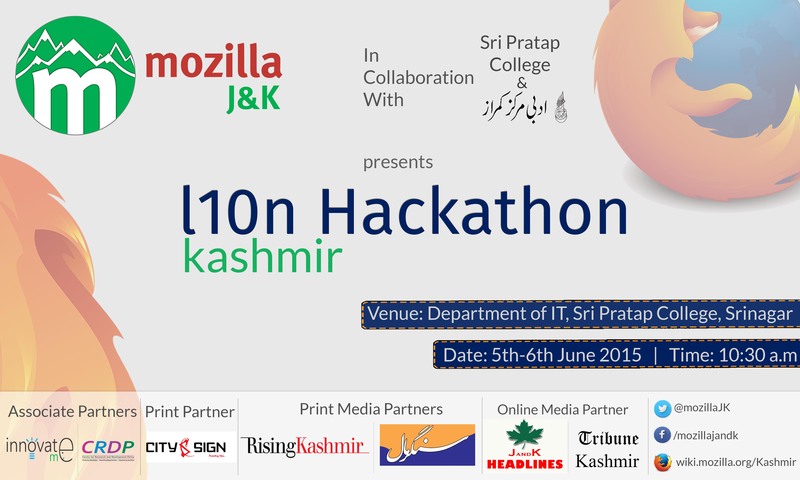 Firstly, we introduced Mozilla community J&K, its objectives, mission and goals. After giving all the instructions to contributors about the modus operandi of translation, they started rendering the strings into Kashmiri language. We also distributed the swags in between to keep the interest of translators. Luncheon, tea and snacks were also served among contributors, attendees during the event.